Sphero has a new robotic ball, and it's noticeably livelier and more colorful than its older models. 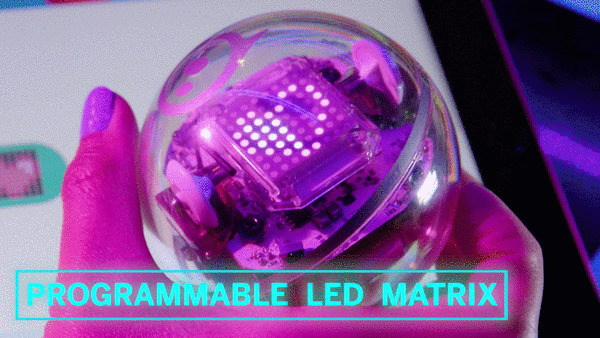 The Sphero Bolt will look like the SPRK+ at first until its 8x8 LED Matrix starts moving and displaying data, directions or animations programmed using the Sphero Edu app for iOS, Android, Kindle, Mac, Windows and Chrome. It features 360-degree infrared communication, so several devices can talk to each other no matter what their positions are. A couple of Bolts displaying Pac-Man ghosts, instance, can follow or evade the one displaying Pac-Man anywhere it is. Sphero also equipped the Bolt with an ambient lighting sensor you can use for your arsenal of tricks. Want to see the robot spin wildly if you put it under a spotlight? Just use the Edu app to program that behavior. In addition, the company's newest robotic ball now has a magnetometer (or simply put, a compass) that will make orienting the device a lot easier when you want to control it manually. The Bolt kit even includes an add-on with cardinal directions, so you can use it as an actual compass. Finally, it can last for two hours per charge instead of just one. With a price tag of $150, the Bolt has features the much cheaper Minidoesn't have: it's waterproof and has a 100-foot Bluetooth range. The kit, which you'll see in retail stores starting today, includes the Bolt itself and its charging cradle, along with a few stickers and the compass add-on. 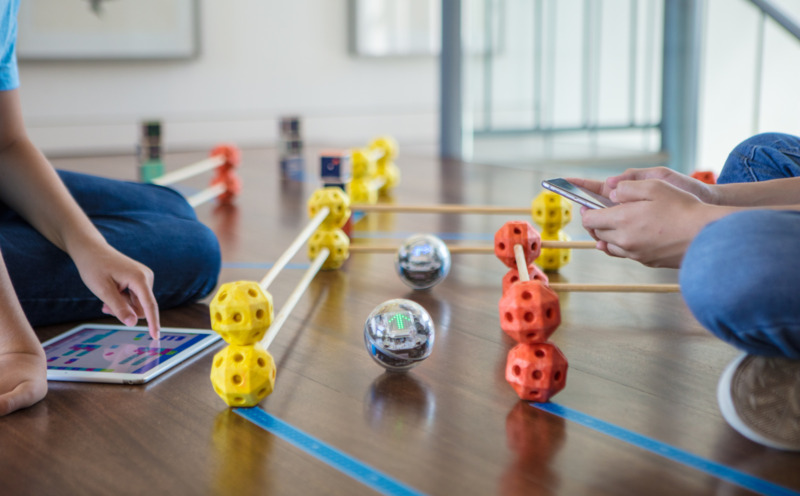 Sphero is selling it in 15-pack boxes, though, in case you need that many for a classroom, for an art installation or if you just really, really like playing with Sphero's robots.